Sometimes I’m amazed at just how fitting a job is for me…as if the client knew me in advance. 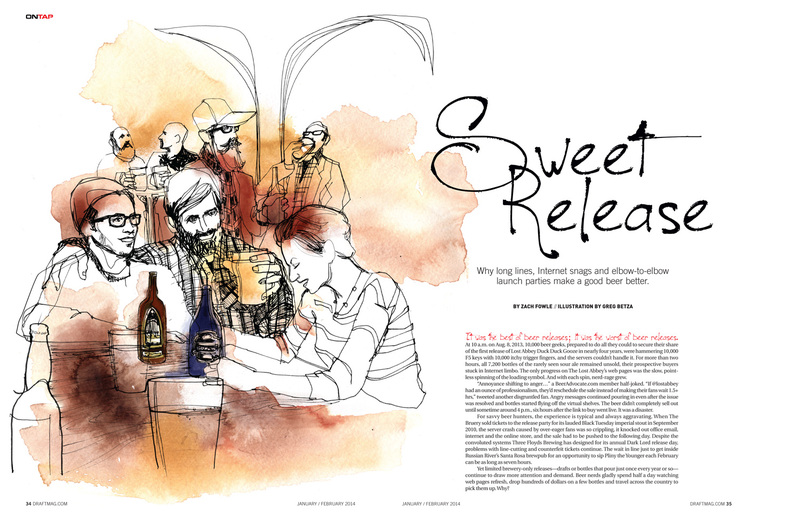 When I was asked to illustrate a feature for DRAFT magazine, I was thrilled. For those that know me, I’m a HUGE fan of craft beer and DRAFT asked me to illustrate a beer release party! Needless to say this was a fun piece to do…I even used a few friends as models…and oh yeah, my beautiful wife Despina. She’s a beer lover too so playing this role wasn’t too much of a stretch for her.